Caution: may become hot after use. 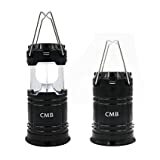 MULTI FUNCTION - Perfect camping light or torch but also handy around the garage, garden shed, car break downs, power cuts around the home and packed with multiple ways to hang the lantern so you can enjoy hands free operation. Upgraded with a magnetic base and hook for those tent loops or attaching to your vehicle there are endless ways to hang this lantern. 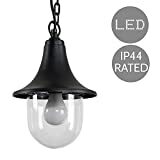 Suitable for indoor or outdoor use due to the IP44 rating. LED BRIGHTNESS - 360 degrees of illumination with 350 lumens of the latest COB torch technology ensure you can brighten any area. 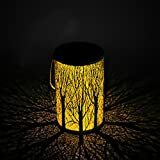 You can extend the lantern fully out for maximum brightness or lower it down to your choice of mood lighting for chilling out around camp or as a reading light so it is also a dimmable lantern. 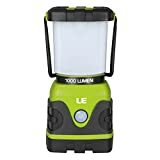 COMPACT & LIGHTWEIGHT - Weighing in at 250g the lantern packs down to 5" high and 3.5" wide when collapsed so it packs away nicely into your rucksack, toolbox or kitchen cupboards. 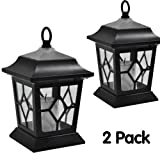 We have included a mesh case to store the lantern away so there is no chance of opening the lantern while it is stowed away avoiding any battery waste. 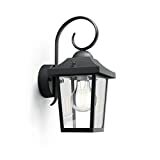 INTELLIGENT DESIGN - Simply lift the top of the lantern to activate the light and the more you lift the brighter the area becomes. Lift a little if just some relaxing mood lighting is required or extended fully for a super bright room. We've improved this model with not only the stainless steal handles but we've built in a hook and magnets to the base so changing that car tyre or hanging the lantern for a hands free operation. BRITISH COMPANY - We are UK based and test all our gear hiking and camping in the British great outdoors. 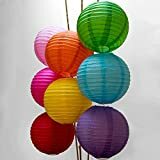 -These paper lanterns are in cute and fun shape, would be perfect for ambiance adding decorations to the festival days or celebrating activities. 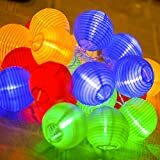 -Beautiful in bright assorted colours, they can be put led lights, flash lights and string lights, battery operated light and more in the top of the "C". 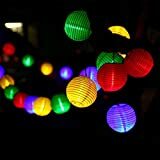 -ideal for both outdoor and indoor decorations, and suitable for wedding, birthday, home, garden, baby shower and more you would like. 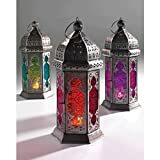 -These rainbow colour lanterns are ease to use. 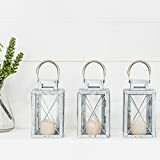 You just need to open it and insert the skeleton expander inside, and then it comesits lantern shape. With built-in hook, you will have no problem to hang it. 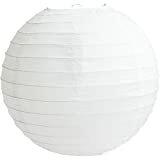 -Fantastic quality and sturdy, they are definitely the best value for these paper lanterns. 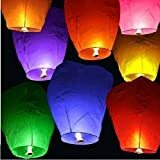 Made of thick paper, they won't be broke easily and can be saved up to use again.Each lantern is wrapped individually in plastic envelopes. 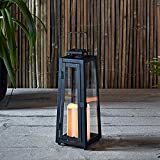 The Duronic RL123 is our popular pop up lantern that that is compact in size yet provides all the necessary functionality that you would expect from a lamp like this. When not in use the unit hides away into a 5cm height model, within seconds it can expand up to a 13cm lamp unit. 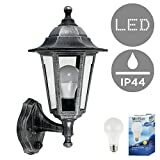 LIGHT: The light function is built of 9 LED bulbs which will provide the user with 2 settings; a medium light and a bright light. 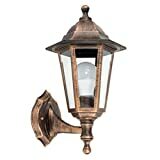 Both light settings will provide an optimised white light perfect for the immediate dark surrounding. 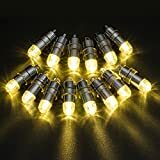 The maximum luminous flux at high level lighting is: 41lm, and 11lm at low level. WIND-UP: Initially we encourage the unit to be charged by the USB cable to top it up to maximum, after this the occasional wind-up will keep the unit charge topped up. A fully charged up unit can provide you up to 5.5 hours of light on low settings and up to 1.5 hours of light on high settings. A one minute hand crank will give up to 10 minutes light at low level, and 4 minutes at high level. The unit is rainproof thanks to its water tight build structure. The wind-up arm tucks away neatly inside the unit without protruding. 4 X rubber feet's help it from slipping or moving around. A hanging strap is conveniently attached to help you hang it where required. Charging light indicator and sturdy power button along with external power socket conveniently located with a removable seal. 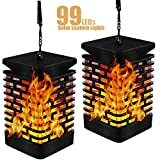 Great for create warm atmosphere . 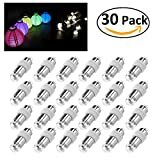 Mini Non-blinking LED Lights is perfect for Wedding , Birthday, Party, Concert, Carnival, Anniversary Celebration lights, Halloween, Christmas, Thanksgiving Day, Centerpieces, Paper Lanterns, Balloons and more occasion. How to use : 1, Twisting the cap of the LED lights ; 2. Remove the film from each LED light; 3. Twisting on the cap until you see the balloon light is on. If you want to turn off the lights, please twist the cap out and insert the film into the cap , then twist on the cap. 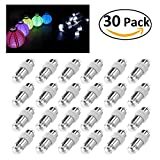 Waterproof LED Balloon Lights - These LED balloons lights are waterproof that you could put them under water if needed. Make sure you tighten the cap of the balloon light to prevent water from entering the interior. 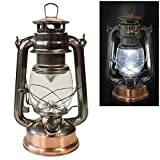 A pretty Vintage Style Lantern which looks really impressive when lit. 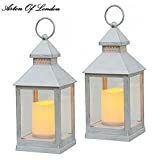 It is made from Metal with glass surrounds so perfect for outdoor use as the candles will not blow out in a breeze. 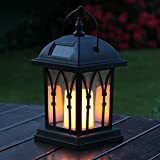 A really versatile Lantern it Measures: 34cm High x 15m Wide x 15cm Deep. 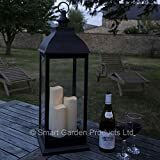 BEAUTIFUL OUTDOOR LIGHT FEATURE - This waterproof lantern offers a focal point for your garden, the 3 candles give off a soft natural light - perfect for alfresco dining. WEATHER RESISTANT - The high quality resin construction is UV and frost resistant, with glass inserts. SIZE - Approx Size: 71cm tall x 24cm square. 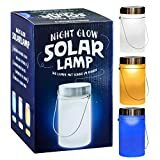 High tech solar light – captures sunlight by means of high-quality solar cells and converts it into electricity, charging the built-in battery. Now you don't have to rely on sockets, batteries or any other technical gadgets. 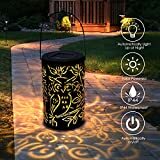 Wonderful light anywhere - you can conjure decorative lighting wherever you choose with this solar lantern handle for hanging. 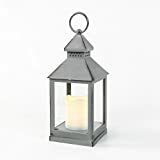 Be it in the garden, on a patio, on a balcony, when camping, or as a table decoration, this lantern can be used anywhere. 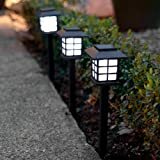 Long light duration and waterproof - thanks to the economical, high power LED lights and large 600 mAh lithium battery, the solar powered lamp can provide 8 hours of pleasant light. Choice of warm white, yellow or blue. 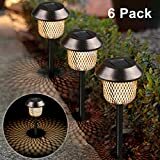 Plus, the light is waterproof and so ideal for indoor or outdoor use. Automatic mode and suitable for hanging – thanks to the integrated light sensor, the light automatically switches on to create a comfortable, warm light. 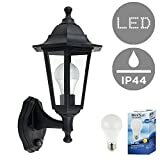 The integrated handle and the compact size, 18.5 cm x 10 cm x 10 cm, make it possible for the solar light to be hung anywhere. - - Click on the ‘Add to Basket’ now and experience this premium quality product at home. You are guaranteed to be impressed! - - Ideal as a gift for others, or as gift for yourself. Beautiful Metal-Like Finish, Indistinguishable to the Untrained Eye! 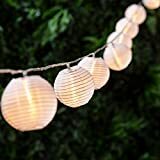 3.2 meters string of 20 paper lanterns lights. 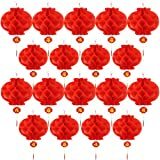 Each Lantern is 5 x 5 x 2 centimeters. The total length is 320 cm, length from to the plug to first lights is 150 cm. Space between each lights : 9.5 cm. 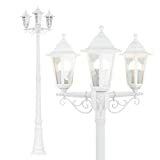 White wire, No on/off switch and Include 2 spare bulbs, Main power operated electric standard. 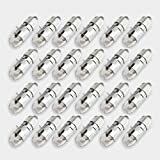 220-240V 50Hz 16.8W, British Safety Standards Certificated String Lights for UK / Ireland. Built-in rechargeable batteries and solar panel, can be recharged by DC Power or Solar. 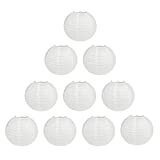 More Brighter than commonly found 30-LED Lanterns,illuminated with more light. 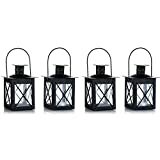 Saving energy to keep the lantern aglow in regular brightness for up to more than 12 hours. Built in Power Bank with USB, can charge for most mobile phones . 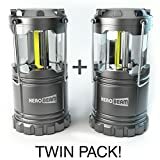 Very convinient for your outdoor activities as hiking, fishing, hunting, emergencies, hurricanes, outages, storms, camping etc. 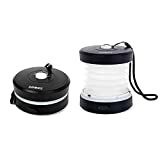 Compact Callapsible: This is the 2-in-1 solar rechargeable camping lantern and handheld flashlight. 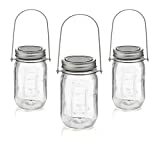 Use as camping lantern - Foldaway handles for easy suspension and portability. When not in use, you can collapse to store. Use as flashlight - a sperate handle and switch (in the bottom). You can use it in both modes at the same time. Water Resistance Plastic - making them extra durable and super lightweight, both for indoors and outdoors use. 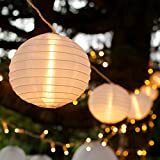 Illuminate wedding paper lanterns, floral arrangements, garlands, bouquets, bridal sets, centerpieces, place settings, candle votives, vases, balloons. 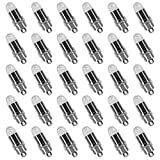 Batteries: 3 x 1.5V LR41 in each led, working with 48 hours. 2 hours is optimal brightness. 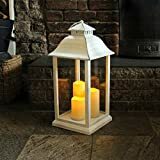 This elegant battery powered lantern features three flickering LED candles that can be switched on/off or set on 4hrs on/20hrs off timer. 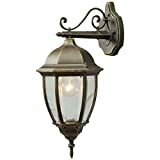 Traditional Victorian Style Wall Lantern with PIR Motion Sensor - IP44 Rated. 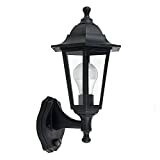 Made From Durable Weather Resistant Black Plastic. 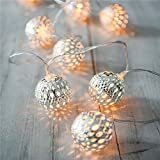 SOLAR POWERED FAIRY LIGHTS- These wonderful Solar String Lights will illuminate during night, add a warm and charming atmosphere to your beautiful home, patio, gardens, landscape. AUTO ON/OFF- Solar Panel and rechargeable battery, charge power during daytime and turn on automatically at dusk. SUPER LONG WORKING TIME- Up to 8 hours of continuous lighting with a fully charge of 6 hours in daytime. 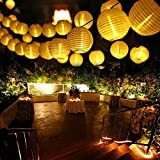 WATERPROOF CHINESE LANTERNS STRING LIGHTS- IP44 waterproof grade is designed to be used outdoors even on rainy days, perfect for outdoor decorations. EASY TO OPERATE & INSTALL- 2 switch buttons (Power ON / OFF, MODE) and one stake. Just hang up anywhere you like.